1. Technically Unaware – You are taking pictures without putting any technical thought into them at all. No thought is going into your composition, light, or mood. You’re taking pictures for the purpose of recording a moment, place, or event and likely with a camera phone, or point and shoot camera. Taking pictures is likely something you do out of necessity. 2. Technically Semi-Aware – You start becoming aware of the photographic process. You start thinking that maybe the picture would look better if you did something in particular like putting the camera in sports mode when taking pictures of sports, or landscape mode for landscapes. Towards the end of this phase maybe you start shooting RAW instead of Jpeg or buy a new lens other than the one that came with the camera. This is the level most amateurs are at. 3. Technically Aware – You really start thinking about the pictures you’re taking on a technical level. While photographing you think about the rule of thirds, your highlight and shadow detail, quality of light, and more. At this point you are probably using a good dslr, an off-camera flash, and a few lenses to shoot the pictures that inspire you. If studio photography is your thing, you have a few light heads and soft boxes to modify the light to look how you want it to look. You are comfortable using Photoshop or similar software to edit your pictures and make them look as you want. Maybe at this point you have taken a few photography classes or taken part in a few workshops. 4. Technically Over-Aware / Conceptually Unaware – You are making good technical photos, but you’re so concerned with the technical that you cannot get past that. When on a shoot, you are completely obsessed with what your camera settings are and check the lcd screen way too often to see if you got the shot. There is a chance you are spending way too much time on the Internet researching new gear and commenting on camera review sites. Better gear is necessary to make better photos, even though you already own good gear. You feel the world is holding you back from taking amazing images, but the reality is you’re probably the only one holding yourself back. 5. Conceptually Semi-aware – You are at the point where you have shot long enough that the technical stuff is pretty much on autopilot. You’re not thinking about the technical stuff as much as you were before, and now you can start thinking about what your pictures are saying. 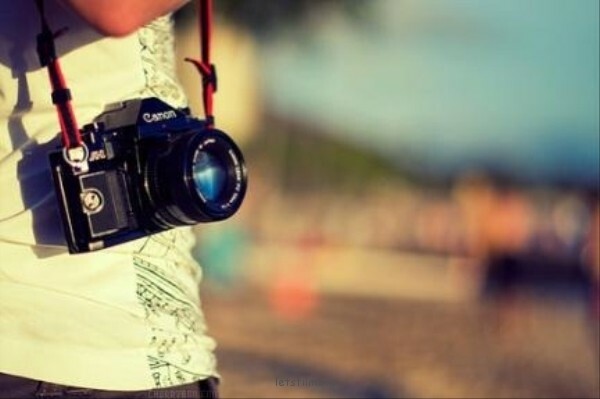 In a given day you are thinking more and taking pictures less. You’re spending very little time looking at new gear and more time looking for inspiration. Your pictures don’t just look beautiful; they also start to have meaning. You come into a shoot with a mental list of the shots you hope to capture and you already know how you’re going to accomplish them. 6. Conceptually Aware – You are making pictures with more sophisticated meaning which are also technically perfect. You have mastered the craft and now most every image you take has meaning or is attempting to show meaning. If you’re doing a lot of commercial work, you’re absolutely giving your opinion on how to approach the shoots your doing so that they have the most impact. Clients are hiring not only because you’re a great technical photographer but more because you come to the table with solid opinions on how to make their ideas better. 7. Technical and Conceptual Master – Chances are that now most of the pictures you take are part of something important. You don’t just take pictures to take pictures; you take pictures to tell a story, and that story has depth. Chances are you have been taking pictures now for a very long time. Generally speaking, very few photographers reach this point in their career. It can be hard working as a commercial photographer when you’re in this phase because a lot of paid work isn’t intellectually stimulating enough, so you lose interest.